Wen Tong, "MIMO-OFDM From Theory to Practice - A New Landscape for Very Broadband Wireless Networks"
Hikmet Sari, "Broadband Wireless Access at Frequencies below 11 GHz"
Robert Schober, "Optimization of Delay Diversity for Optimum and Suboptimum Equalization"
Behnaam Aazhang, "Cooperative Communication: Fundamental Limits and Enabling Technologies"
Parham Aarabi, "Multi-Microphone Speech Processing, or, Why Two Ears Are Better Than One"
Max Wong, "PLUTO: An Optimum Linear Space-Time Code for MIMO Communications"
Uri Erez, "Approaching the dirty paper limit for canceling known interference"
Zhi-Quan (Tom) Luo, "Decentralized Estimation With a Bandwidth-Constrained Sensor Network"
Bertrand Hochwald , "Multiple Antennas Have a Big Multi-User Advantage in Wireless Communications"
Prof. Marc Fossorier, "Reliability-Based List Decoding of Linear Block Codes"
J. Nicholas Laneman, "Source-Channel Diversity Approaches for Multimedia Communication"
Wei Yu, "Duality in Multi-user Uplink and Downlink Channels"
In this talk, we present the MIMO-OFDM as the key enabling technology for defining the next generation broadband wireless mobile networks. We give a system architecture overview of MIMO-OFDM and its potential impacts. The key research areas and direction MIMO-OFDM are discussed. We also introduce the design for the industry 1st MIMO-OFDM standard: IEEE802.16d/e for the wireless metropolitan access and the emerging IEEE802.11n standard for the wireless local areas access. Wen Tong received the M.Sc and Ph.D degrees in Electrical Engineering in 1986 and 1993 respectively. He joined the Wireless Technology Labs, Nortel Networks in 1995, where he is currently a senior advisor. He has worked in many areas in the wireless access networks with emphasis on the air interface and physical layer development. He is now the chief architect for the advanced research on next generation broadband wireless mobile system in Nortel Networks. Broadband wireless access (BWA) at frequencies below 11 GHz is an interesting technology, particularly for new operators without an existing wired infrastructure. The frequencies available for this type of networks include the 2.5 GHz microwave multipoint distribution service (MMDS) band in the US, the 3.5 GHz band all across Europe, and the 10 GHz which is available in a number of countries. There are also license-exempt frequency bands at 2.5 GHz and 5 GHz. First-generation BWA systems are today in the field, but their deployment is still very modest compared to DSL and cable modem technologies. To foster the mass deployment of BWA systems, the IEEE 802.16 and ETSI BRAN groups have recently developed technical specifications for interoperable systems. Unlike BWA systems operating at millimeter-wave frequencies (usually referred to as LMDS systems), BWA systems operating at microwave frequency bands below 11 GHz are non-line-of-sight and require a transmission technique that is very robust to multipath propagation. The IEEE 802.16a specifications for BWA at licensed frequency bands between 2 and 11 GHz include three different transmission and multiple access techniques, namely single-carrier transmission with frequency-domain equalization (SCT/FDE), orthogonal frequency-division multiplexing with time-division multiple access (OFDM/TDMA), and orthogonal frequency-division multiple access (OFDMA). But although the ETSI BRAN group has significantly harmonized its specifications with those of the IEEE 802.16, its specifications are restricted to the OFDM/TDMA mode. In this talk, we give a general presentation of BWA at frequencies below 11 GHz, describe the technical challenges, highlight the current trends, and discuss the potential technologies. In particular, we highlight the fact that the main issue in these systems is frequency-domain processing vs. time-domain processing rather than OFDM vs. single-carrier transmission, which is the traditionally debated issue. Hikmet Sari received his engineering degree and his Ph.D. from the ENST, Paris, France, in 1978 and 1980, respectively. He also received the post-doctoral Habilitation degree from the University of Paris XI in January 1992. From 1978 to 1989, he was with the Philips Research Laboratories, first as research engineer and later as group supervisor. He was a Department Head at the SAT Telecommunications Division from 1989 to 1996 and R&D Director for Radio Communications at Alcatel from September 1996 to April 2000. From May 2000 to November 2002, he was Chief Scientist at Pacific Broadband Communications, which was acquired by Juniper Networks in December 2001. He is currently a Professor and Chair of the Telecommunications Department at the Ecole Sup�rieure d’Electricit� (Sup�lec), near Paris. Over the past 25 years, he has been a major contributor to the field of digital communications and he has published some 140 journal and conference papers. Dr. Sari was Editor for Channel Equalization of the IEEE Transactions on Communications from 1987 to 1991. He served as a Guest Editor of the European Transactions on Telecommunications in 1993 and of the IEEE Journal on Selected Areas in Communications in 1999. He was on the Editorial Board of the Annals of Telecommunications from 1994 to 1997 and an Associate Editor of the IEEE Communications Letters from 1999 to 2002. In 1995, he was elected to the IEEE Fellow Grade and he received the Andre Blondel Medal from the French Electrical & Electronics Engineering Society SEE. He was Technical Program Chair of the 2004 IEEE International Conference on Communications (ICC 2004). He was the recipient of the Edwin H. Armstrong Achievement Award in 2003. He is currently serving as Distinguished Lecturer and Member of the Fellow Evaluation Committee of the IEEE Communications Society and also as Vice-Chair of ICC 2006. Although most of the initial research on transmit diversity (TD) assumed flat fading channels, more recently it has been shown that TD can also lead to significant performance improvements for frequency-selective fading channels. Frequency-selective fading channels are encountered in e.g. the Global System for Mobile Communications (GSM), the Enhanced Data rates for GSM Evolution (EDGE) system, and future broad-band wireless systems. However, most TD schemes are not well suited for upgrading existing mobile communication systems such as GSM or EDGE since they would require major changes in the burst structure and the receiver processing. A simple TD scheme that does not entail these drawbacks is delay diversity (DD). DD was originally proposed by Wittneben for application in flat fading channels, but has recently been extended to frequency-selective channels by Paulraj et al. In this presentation, we will propose optimized delay diversity (ODD) schemes for optimum and suboptimum equalization at the receiver side. The novel schemes require knowledge of the statistical properties of the channel impulse response (CIR) at the transmitter, but the CIRs themselves have to be available only at the receiver side. We derive optimization criteria for different types of equalizers (MLSE, DFE, linear equalization) and adaptive algorithms for recursive calculation of the ODD transmit filter coefficients. Analytical and simulation results show large performance gains of the proposed ODD schemes over previously proposed DD schemes. Our results also show that a high performance can only be achieved if DD is optimized for the particular equalizer used at the receiver. Furthermore, we show that, in contrast to the frequency-nonselective case, for frequency-selective channels transmit diversity schemes designed under the high SNR assumption may perform poorly for practically relevant SNRs. Robert Schober was born in Neuendettelsau, Germany, in 1971. He received the Diplom (Univ.) and the Ph.D. degrees in electrical engineering from the University of Erlangen-Nuernberg in 1997 and 2000, respectively. From May 2001 to April 2002 he was a Postdoctoral Fellow at the University of Toronto, Canada, sponsored by the German Academic Exchange Service (DAAD). Since May 2002 he has been an Assistant Professor and Canada Research Chair (Tier II) in Wireless Communication at the University of British Columbia (UBC), Vancouver, Canada. His research interests include noncoherent detection, equalization, multiuser detection, MIMO systems, space-time processing and coding, and ultra-wideband communication. In 2001, Dr. Schober was a co-recipient of the best paper award of the German Information Technology Society (ITG). In 2002, he received the Heinz Maier-Leibnitz Award of the German Science Foundation (DFG). He also received the 2004 Innovations Award of the Vodafone Foundation for Research in Mobile Communications. He currently serves as Editor forDetection, Equalization, and MIMO for the IEEE Transactions on Communications and as Guest Editor for a special issue on noncoherent and differential wireless communication for the IEEE Journal on Selected Areas in Communications. Within the last five years, there has been a cultural shift from wired landlocked connectivity to pervasive wireless information access. Most emerging mobile devices are now equipped with some form of embedded wireless radio. The expectations of high data rates and increased battery longevity have put tremendous pressure on all aspects of wireless system design. To meet the challenges of next generation wireless system design, we need fundamentally new methods to exploit all available dimensions of communication channels and network. In this presentation, I will talk about emerging systems and network level techniques to increase spectral and power efficiency of communication systems, and extend coverage of wireless networks. The cooperative communication paradigm pools distributed resources of different nodes, such that the nodes act like a collaborative system instead of greedy adversarial participants. I will present our research and development plans in the context of a scalable experimental wireless system for mobile broadband Internet. It is read-only due to the copyright issues. Opening it requires a recent version of Microsoft Office supporting password protection feature (Office XP or higher versions). Behnaam Aazhang received his B.S. (with highest honors), M.S., and Ph.D. degrees in Electrical and Computer Engineering from University of Illinois at Urbana-Champaign in 1981, 1983, and 1986, respectively. From 1981 to 1985, he was a Research Assistant in the Coordinated Science Laboratory, University of Illinois. In August 1985, he joined the faculty of Rice University, Houston, Texas, where he is now the J.S. Abercrombie Professor and Chair of the Department of Electrical and Computer Engineering and also the Director of Center for Multimedia Communications. He has been a Visiting Professor at IBM Federal Systems Company, Houston, Texas, the Laboratory for Communication Technology at Swiss Federal Institute of Technology (ETH), Zurich, Switzerland, the Telecommunications Laboratory at University of Oulu, Oulu, Finland, the U.S. Air Force Phillips Laboratory, Albuquerque, New Mexico, and at Nokia Mobile Phones in Irving, Texas. His research interests are in the areas of communication theory, information theory, and their applications with emphasis on multiple access communications, cellular mobile radio communications, and wireless communication networks. Dr. Aazhang is a Fellow of IEEE, a recipient of the Alcoa Foundation Award 1993, the NSF Engineering Initiation Award 1987-1989, and the IBM Graduate Fellowship 1984-1985, and is a member of Tau Beta Pi and Eta Kappa Nu. He is also a recipient of 2004 IEEE Communication Society's Stephen O. Rice best paper award for a paper with A. Sendonaris and E. Erkip. He is currently serving on Houston Mayor's Commission on Cellular Towers and as the chair of the Technical Program Committee for 2005 Asilomar Conference, Monterey, CA. He has served as the Editor for Spread Spectrum Networks of IEEE Transactions on Communications 1993-1998, as the Treasurer of IEEE Information Theory Society 1995-1998, the Secretary of the Information Theory Society 1990-1993, the Publications Chairman of the 1993 IEEE International Symposium on Information Theory, San Antonio, Texas, and as the co-chair of the Technical Program Committee of 2001 Multi-Dimensional and Mobile Communication (MDMC) Conference in Pori, Finland. Speech recognition will one day revolutionize how humans and computers interact, and in turn, how and where computers are used. Before this can happen, speech recognition systems must become accurate and robust, all the while remaining computationally feasible. This talk will introduce current microphone array based robust speech processing research at the University of Toronto's Artificial Perception Laboratory (APL - www.apl.utoronto.ca). We start by introducing novel sound source localization techniques, followed by microphone array based speech de-noising and separation. Finally, we shall discuss hardware acceleration and FPGA/VLSI implementation of our multi-microphone speech processing algorithms. Adding the voice has affected the functionality of some of the original animations. It is recommended to open both files (with and without voice) simultaneously in two different windows for best result. Professor Parham Aarabi is a faculty member in the Department of Electrical and Computer Engineering at the University of Toronto, a Canada Research Chair in Multi-Sensor Information Systems, and the founder and director of the Artificial Perception Lab. Prof. Aarabi received his Ph.D. in Electrical Engineering from Stanford University in 2001, his M.A.Sc. in Electrical and Computer Engineering from the University of Toronto in 1999, and his B.A.Sc. 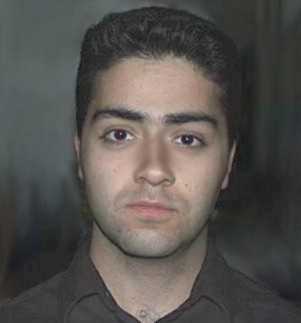 in Engineering Science (Electrical Option) from the University of Toronto in 1998. Prof. Aarabi has been the recipient of numerous teaching and research awards, including the Ontario Distinguished Researcher Award, the 2002 Best Computer Engineering Professor Award, the Early Career Teaching Award, and the 2003 Professor of the Year Award. His current research, which includes multi-sensor information fusion, human-computer interactions, and FPGA/VLSI implementation of sensor fusion algorithms, has been extensively covered by a variety of newspapers and television shows including the Discovery Channel, CBC Newsworld, and Scientific American. Signal processing designs have benefited much from the theory of convex optimization recently. There are various types of optimum design problems to which convex optimization can be applied. In this talk, we focus on the use of Jensen's Inequality and obtain an optimum class of linear space-time block code for a multi-input multi-output (MIMO) communication system. We examine the problem of designing a linear code which achieves full transmission data rate for MIMO communication systems under a quasi static Rayleigh flat fading environment. The channel information is assumed unknown to the transmitter but known at the receiver. Our design targets specifically at the use of a linear receiver for which a minimum mean square error (MMSE) equalizer is employed, and minimizes the averaged bit error probability when the transmitted signal is selected from a Q PSK constellation. By repeatedly applying the Jensen's Inequality, we arrive at an optimum code which is shown to have the structure such that the individual coding matrices a) are mutually trace orthogonal, b) are all unitary, and c) have equal power. We call this class of codes PLUTO (Power-distributed, Linear, Unitary, Trace .Orthogonal). An algorithm is presented to provide for an efficient generation of our codes, and simulation results confirm that our optimally designed codes are indeed superior in performance compared to other commonly used codes. They are read-only due to the copyright issues. Opening them requires a recent version of Microsoft Office supporting password protection feature (Office XP or higher versions). Kon Max Wong received his BSc(Eng), DIC, PhD, and DSc(Eng) degrees, all in electrical engineering, from the University of London, England, in 1969, 1972, 1974 and 1995, respectively. He started working at the Transmission Division of Plessey Telecommunications Research Ltd., England, in 1969. In October 1970 he was on leave from Plessey pursuing postgraduate studies and research at Imperial College of Science and Technology, London. In 1972, he rejoined Plessey as a research engineer and worked on digital signal processing and signal transmission. In 1976, he joined the Department of Electrical Engineering at the Technical University of Nova Scotia, Canada, and in 1981, moved to McMaster University, Hamilton, Canada, where he has been a Professor since 1985 and served as Chairman of the Department of Electrical and Computer Engineering in 1986 – 87 and 1988 – 94. Professor Wong was on leave as Visiting Professor at the Department of Electronic Engineering of the Chinese University of Hong Kong from 1997 to 1999. At present, he holds the NSERC-Mitel Professorship of Signal Processing and is the Director of the Communication Technology Research Centre at McMaster University. He is also serving as Chair of the Department of Electrical and Computer Engineering from 2003 – 08. His research interest is in signal processing and communication theory and has published over 170 papers in the area. Professor Wong was the recipient of the IEE Overseas Premium for the best paper in 1989, and is a Fellow of IEEE, a Fellow of the Institution of Electrical Engineers, a Fellow of the Royal Statistical Society, and a Fellow of the Institute of Physics. He also served as an Associate Editor of the IEEE Transaction on Signal Processing, 1996-98 and has been a member and chair of the IEEE Sensor Array and Multichannel Technical Committee of the Signal Processing Society. Professor Wong was the recipient of a medal presented by the International Biographical Centre, Cambridge, England, for his outstanding contributions to the research and education in signal processing in May 2000, and was honoured with the inclusion of his biography in the two books: Outstanding People of the 20th Century and 2000 Outstanding Intellectuals of the 20th Century published by IBC to celebrate the arrival of the new millennium. It has recently been recognized that Costa's "Writing on dirty paper'' channel model offers an information theoretic framework for precoding techniques for canceling arbitrary interference known to the transmitter. In particular, this observation implies that lossless precoding is theoretically possible at any SNR. Among the applications are broadcast over muliple-input multiple-output (MIMO) channels, intersymbol interference (ISI) mitigation and digital watermarking. We review the dirty paper coding framework as well as its applications. We describe a dirty paper coding scheme using lattice strategies coupled with MMSE scaling. Realizing such a system however has proven to be challenging, posing numerous problems of independent interest, and necessitates the introduction of novel coding techniques. We will address these issues and present an end-to-end coding realization of a system materializing a significant portion of the promised gains. Joint work with Stephan ten Brink, Realtek, Irvine, CA. Uri Erez came to MIT from Tel-Aviv University, where he completed undergraduate degrees in mathematics and physics in 1996, and his masters and doctoral degrees in 1999 and 2003, respectively. His doctoral research was in the area of coding and communication in the presence of known interfererence. He is currently a postdoctoral scholar, working on problems of communication with side information, and applications of lattices in digital communication. Uri has served as a consultant for a number companies, among them Lucent Technologies' Bell Laboratories, Tadiran-Systems and Ultracom. He received the Omicron Delta prize for his presentation at the 2000 Israel IEEE Convention. His research interests encompass information theory and digital communication. Consider a situation where a set of distributed sensors and a fusion center wish to corporate to estimate an unknown parameter over a bounded interval. Each sensor collects one noise-corrupted sample, performs a local estimation, and transmits a message to the fusion center, while the latter combines the received messages to produce a final estimate. In this talk we will discuss optimal local estimation and final fusion schemes under the constraint that the communication from each sensor to the fusion center must be an one-bit binary message. Such binary message constraint is well motivated by the bandwidth limitation of the communication links, and by the limited power budget of local sensors. The proposed decentralized estimation scheme is universal (i.e., works for all noise pdf), satisfies the binary message constraint, and requires only a factor of 4 increase in the number of sensors to achieve the same mean squared error when the binary message constraint is absent. Furthermore, this scheme suggests allocating 1/2 of the sensors to estimate the first bit of the unknown parameter, 1/4 of the sensors to estimate the second bit, and so on. Extensions to the ad hoc sensor network case (with no fusion center) and to the inhomogeneous sensing environment will also be discussed. Zhi-Quan (Tom) Luo received his B.Sc. degree in Applied Mathematics in 1984 from Peking University, Beijing,China. Subsequently, he was selected by a joint committee of American Mathematical Society and the Society of Industrial and Applied Mathematics to pursue Ph.D study in the United States. 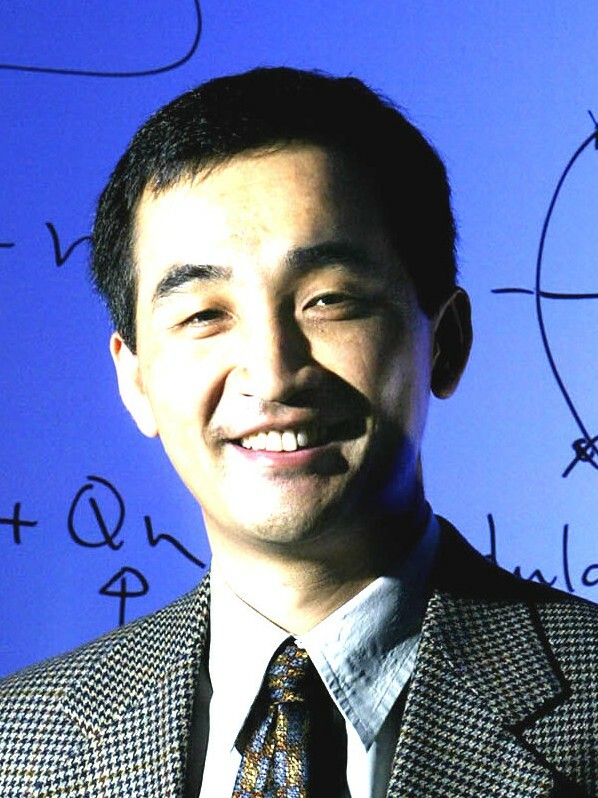 After an one-year intensive training in Mathematics and English at the Nankai Institute of Mathematics, Tianjin, China, he entered the Operations Research Center and the EECS department at MIT in 1985, and received a Ph.D degree in 1989. Upon graduation, he joined the Department of Electrical and Computer Engineering, McMaster University, Hamilton, Canada, where he is now a Professor and holds a Canada Research Chair in Information Processing. Since April of 2003, he has been with the Department of Electrical and Computer Engineering at the University of Minnesota (TwinCities) as an ADC Processor of wireless communication. His research interests lie in the union of optimization algorithms, data communication and signal processing, information theory and coding. He currently serves on the editorial boards for a number of international journals including SIAM Journal on Optimization, IEEE Transactions on Signal Processing. Advanced multiple-antenna wireless techniques, while a hotbed of exciting research, are only slowly gaining commercial acceptance. One of the main stumbling blocks is that although basestations (or access points) are often provided with two or more antennas, it is difficult to equip small terminals with more than one. Since we may be stuck with single-antenna terminals for a while, it becomes important to find techniques that obtain throughput on a multi-user system that scales linearly with the number of antennas. I will show how it is possible, provided that accurate channel information is available at the access point. Bertrand Hochwald was born in New York, NY. He received his undergraduate education from Swarthmore College, Swarthmore, PA and the M.S. in electrical engineering from Duke University, Durham, NC. From 1986 to 1989 he worked for the Department of Defense at Fort Meade, MD. In 1989 he enrolled at Yale University, New Haven, CT, where he received the M.A. in statistics and the Ph.D. in electrical engineering. In 1995-1996 he was a research associate and visiting assistant professor at the Coordinated Science Laboratory, University of Illinois, Urbana-Champaign. He joined the Mathematics of Communications Research Department at Lucent Technologies Bell Laboratories in September 1996, where he is currently a Distinguished Member of the Technical Staff. He is the recipient of several achievement awards while employed at the Department of Defense and the Prize Teaching Fellowship at Yale. He has served on several IEEE journal editorial boards and was a guest-editor for special issues on multi-antenna signal processing and communication techniques. He is the inventor or co-inventor of many wireless communication techniques and holds several patents on multi-antenna methods. In this talk, we review several reliability-based soft decision decoding techniques, which allow to achieve near-MLD performance of rate-1/2 block codes of lengths up to 200 bits. The ordered statistic decoding (OSD) algorithm is first reviewed. Its recent improvements, which include the use of memory and an iterative approach, are then presented. It is shown that these new techniques reduce the original worst case complexity of the OSD algorithm to its squared-root. A general method to tightly bound the error performance of these algorithms is also presented. Results for both binary linear codes and Reed Solomon codes based on their binary images are finally given. Marc Fossorier received the B.E. degree from the National Institute of Applied Sciences (I.N.S.A.) Lyon, France in 1987, and the M.S. and Ph.D. degrees from the University of Hawai'i at Manoa, Honolulu, USA in 1991 and 1994, all in electrical engineering. In 1996, he joined the Faculty of the University of Hawai'i, Honolulu, as an Assistant Professor of Electrical Engineering. He was promoted to Associate Professor in 1999. In 2002, he was a Visiting Professor at Ecole Nationale Superieure des Telecommunications (ENST), Paris, France. His research interests include decoding techniques for linear codes, communication algorithms and statistics. He coauthored (with S. Lin, T. Kasami and T. Fujiwara) the book, "Trellises and Trellis-Based Decoding Algorithms," (Kluwer Academic Publishers, 1998). Dr. Fossorier is a recipient of a 1998 NSF Career Development award. He has served as Editor for the IEEE Transactions on Information Theory since 2003, as Editor for the IEEE Communications Letters since 1999, as Editor for the IEEE Transactions on Communications from 1996 to 2003, and as the Treasurer of the IEEE Information Theory Society from 2000 to 2003. Since 2002, he has also been a member of the Board of Governors of the IEEE Information Theory Society. He was Program Co-Chairman for the 2000 International Symposium on Information Theory and Its Applications (ISITA) and Editor for the Proceedings of the 2003 and 1999 Symposium on Applied Algebra, Algebraic Algorithms and Error Correcting Codes (AAECC). He is a member of the IEEE Information Theory and Communications Societies. Diversity techniques are often employed to average over independent fluctuations in a communications medium, thereby reducing variations in performance and often dramatically improving average performance. For communication of multimedia signals, such as audio or video, there are two basic approaches to exploiting diversity in such scenarios: channel coding at the physical layer, or multiple description source coding at the application layer. We introduce a framework for analyzing and comparing these approaches, and develop a joint source-channel approach based upon multiple descriptions that leverages the benefits of both. The model and results apply to wireless channels with disjoint frequency bands and/or multiple antennas, and to wired networks such as the Internet with multiple paths between a source and destination. Joint work with John Apostolopoulos at Hewlett-Packard Labs and Emin Martinian and Gregory Wornell at MIT. J. Nicholas Laneman is an Assistant Professor of Electrical Engineering at the University of Notre Dame. He earned a Ph.D. in Electrical Engineering from the Massachusetts Institute of Technology, Cambridge, MA, in 2002. 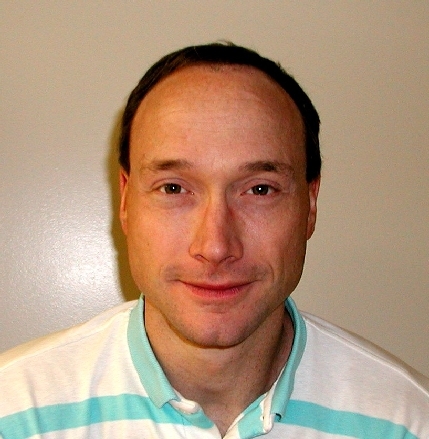 His research interests are in wireless communications and networking, information theory, and detection & estimation. He received the MIT EECS Harold L. Hazen Teaching Award in 2001 and the ORAU Ralph E. Powe Junior Faculty Enhancement Award in 2003. He is a member of IEEE, ASEE, and Sigma Xi. There is an interesting duality between multi-user uplink and downlink channels. Under the same power constraint, the Gaussian broadcast channel and the multiple access channel have identical capacity regions. In the first part of the talk, we give a new interpretation of this duality by showing that uplink-downlink duality is equivalent to Lagrangian duality in convex optimization. This new interpretation not only gives an efficient numerical computation method for the sum capacity, it also provides new insights into the structure of the broadcast channel. In particular, we show that the dual of a broadcast channel with per-antenna power constraints is a multiple-access channel with a diagonal uncertain noise. In the second part of the talk, we use duality to characterize the optimal spatial multiplex scheme in a multi-user wireless environment. It is shown that in a multi-user fading channel with N antennas at the base-station, the number of active users in the optimal transmission strategy is upper bounded by 1/2 N(N+1) at any given time. Thus, antennas are spatial resources. Multiple antennas at the base-station have the effect of creating extra spatial dimensions that allow multiple users to be accommodated at the same time. 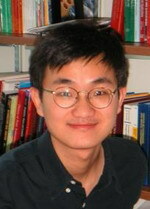 Wei Yu received B.A.Sc in Computer Engineering and Mathematics from the University of Waterloo in 1997, and M.S. and Ph.D. in Electrical Engineering from Stanford University in 1998 and 2002, respectively. He is now an Assistant Professor in the Electrical and Computer Engineering Department at the University of Toronto, where he also holds a Canada Research Chair in digital communications. His main research interests are in information theory, coding and communication system design.